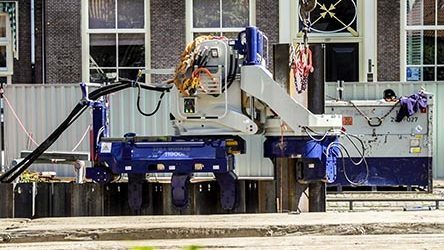 As we own, hire and operate all the piling equipment in our sales agency range, it has meant that over the years we have developed a full understanding of the operational side of this equipment. Knowledge that we can pass onto you via a range of services. Look after your plant and it will look after you. We are able to provide contract maintenance so that your piling equipment is serviced according to manufacturers specifications. This minimises breakdowns and ensures your plant runs for years giving you a good return on your investment. Working on construction sites it is inevitable that your equipment can look a little jaded after a while. We can have your plant looking like new and back in action in no time. Our extensive technical knowledge enables us to react and respond to problems very quickly. Our dedicated service manager coordinates operations should there be a breakdown and we make every effort to ensure an engineer is with you as soon as possible. We have an experienced team of engineers that are happy to work with customers to overcome very specific problems and design bespoke engineering solutions. Have a look at the ‘Solutions’ page to learn more. Contact Ricky today to discuss your service and maintenance requirements.